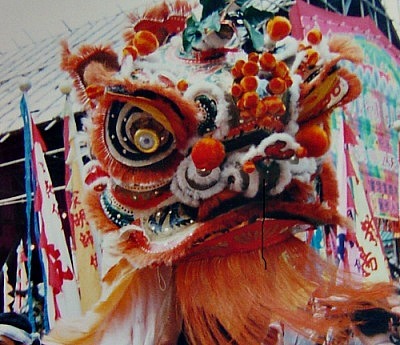 The Chinese Lion Dance is often confused with the Chinese Dragon Dance. They are both an important part of traditional Chinese festivities, specially Chinese New Year, and both are thought to bring good luck and scare away the evil spirits. 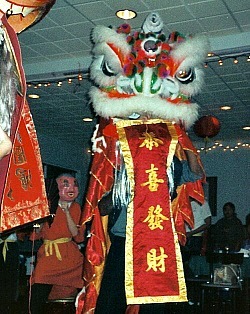 The main difference between the two is that the Dragon Dance is performed by a team of a dozen or so dancers, whereas the Lion performance is acted out by only two dancers. The Lion Dancers need to be very agile and fit as they perform a lot of acrobatic moves. One holds the head and the other the body of the Lion. It is typical for the Lion Troupes to be part of martial art schools. The Chinese Lion performances during the new year celebrations start on New Year's Day and continue through the end of the festivities. They play out during street celebrations to the sound of drums, gongs and cymbals. The parading Lions run along the streets to bring goodwill and luck to everyone they meet. They visit stores, restaurants and businesses. The Lion Troupes are usually accompanied by their "laughing Buddha" buddy. He wears a mask and a robe and teases the lion with a fan to make him jump, roll around, lie down, etc. As they wind down the streets and locales, people along the way will "feed "hong paos" with money inside to the Lion by handing the red envelopes through its mouth. This is supposed to bring good luck and fortune and is considered a donation for the martial arts school setting up the performance. Businesses, likewise, will hang from the ceiling a head of lettuce or some greens with the red envelope inside. The team will have to reach to "pick" the greens. Usually the dancer in the body position is required to lift and support the head dancer so they together can reach the head of lettuce. They "eat" the money and spit out the greens, scattering the fresh leaves around to "spread" out the good luck and also to symbolize a "fresh start" for the new year. The Lion Dance ends with a scroll and message of good luck that unfolds from the Lion's mouth and a burst of firecrackers to scare away the evil beings! The most common colors for the Lion Dance Costume are red, representing bravery, green, representing friendship and goodwill, and gold, representing liveliness and a dynamic spirit. The head of the Lion has levers inside with which the front dancer controls the Lion's eyes, mouth and ears. In the Lion's forehead, there is normally a mirror, so that the evil spirits will be scared and retreat when they see their own image. Children in China, and all over the world for that matter, do their own versions of the Lion Dance, on New Year's as well as other celebrations, such as weddings, graduations, family gatherings, etc. 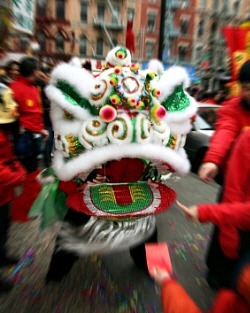 Dragon and Lion Dance troupes are spreading, and are most commonly associated with Martial Arts schools. You can check out your local Kung Fu or Martial Arts Association if you are interested in participating or just watching a performance. Doesn't that look like fun? Would you like to give it a try? You too can jump, bounce, hop and leap to bring happiness and luck!!! Your Own Lion Dance Party! Here's an assortment of Lion Dance Costumes for kids and adults, they can be shared by mom, dad and kids to perform the lion dance together. 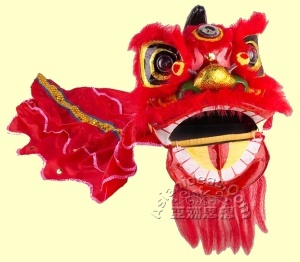 The Lion Heads can be hung and make unique decorations, specially for the Chinese New Year celebrations or any Asian-themed party. So head over to the kitchen and grab a couple of pots and pans. 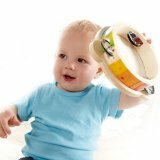 An upside-down pot is your Drum, you beat it with a wooden spoon. 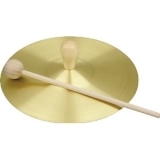 The lids of the pots are your Cymbals and Gongs. As an alternative, mom or dad might agree to download some music for you. 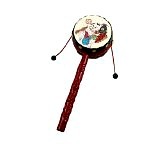 You can find some short Lion Dance Music clips starting at $0.99 at Amazon.com. 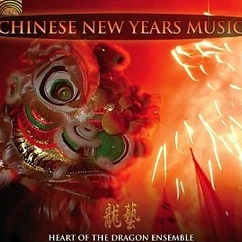 We like "Chinese New Year Music" by Heart of the Dragon Ensemble, the entire album is available in CD or MP3 download, and also the individual songs are available for download. Or visit our Chinese Lion Store and browse in the Lion Dance DVDs and Music section for other options. HAVE A BLAST and HAPPY LION DANCING!! !